Sunuva Summer 2019 Collection. 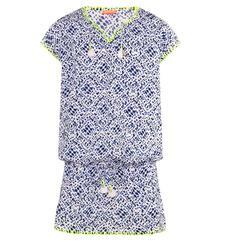 A striking print, chic boho style, ideal to slip over swimwear for breakfast / lunch. Wear with the matching blue shibori bandeau frill bikini and this outfit will not disappoint.